We schedule a visit to your home each quarter. During this treatment we are on the lookout for insect breeding grounds around the exterior of your property. We treat insects where they live and breed to prevent them from getting into your home. You will receive a call before each service to see if an interior treatment may be necessary. Our quarterly program comes with a full guarantee. If you have any trouble with bugs between visits we will gladly come back and retreat until you are satisfied. Our exterior service starts with a thorough perimeter spider web and wasp nest sweep. We then treat all entry points around your home with a slow release encapsulated insecticide. This treatment will remain in place for approximately 90 days and treats all crawling insects. Next we treat the soil around the foundation of your home with a blanket application for scorpions, millipedes, centipedes, and palmetto bugs. After that we either bait and/or treat visible ant mounds and other common problem areas around the entire property. The interior of your home is only treated on an as needed basis. Our goal is to prevent insects outside and reduce the amount of pesticides applied inside your home. If needed we will dust pipe openings and wall voids, bait for insects, treat cracks and crevices with a residual insecticide, and treat any common entry points as needed until you are pest free. No contracts means we are results driven. Our service is based on trust. We don’t make false promises,and long term relationships are our goal. We will always tell you the truth and we are going to do whatever it takes to keep you 100% satisfied. Customer satisfaction is our top priority. If for any reason you are dissatisfied with service you may cancel at any time. 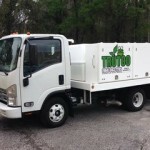 Trutco is a locally owned and operated lawn service and pest control company in Jacksonville, FL. Click the links above for information about our various lawn service and pest control programs. We pride ourselves on doing the quality work that your lawn and home deserve.